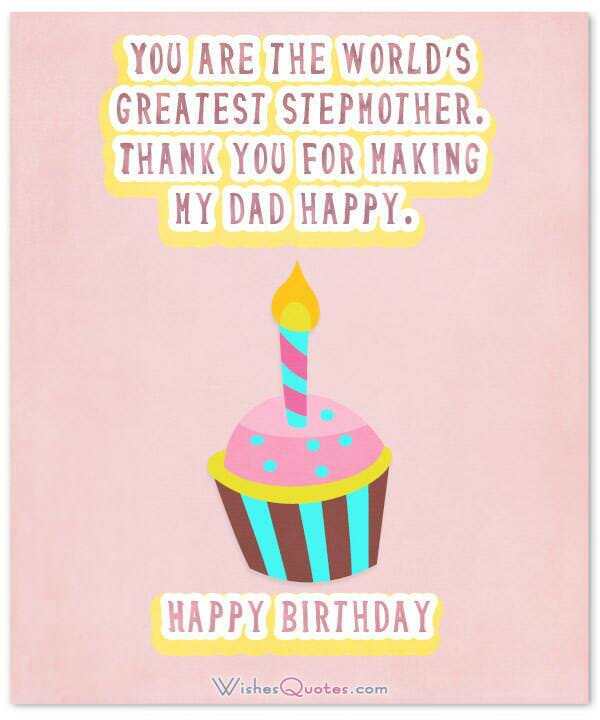 Find the perfect way to send your stepmom an unforgettable birthday message. In all of the fairy tales we read as children, stepmothers were these evil queens that wanted to take over the kingdom. But, in reality, stepmoms are people deserving all the respect we can give, because it is them, that made our fathers find love again. They were willing to come to an already “destroyed” family and put the pieces back together just for the sake of love. This is why, on this special day that is their birthday we need to show them how much we appreciate them. Some true words of love, or maybe even a birthday card, coming straight from our hearts, are usually all we need to show someone we care for them. But, if you are like most people, getting past a “Happy Birthday!” is task daunting enough to scare them from expressing their feelings. This is why we are here! We have provided you with the best wishes that you can use either as they are, or as inspiration! 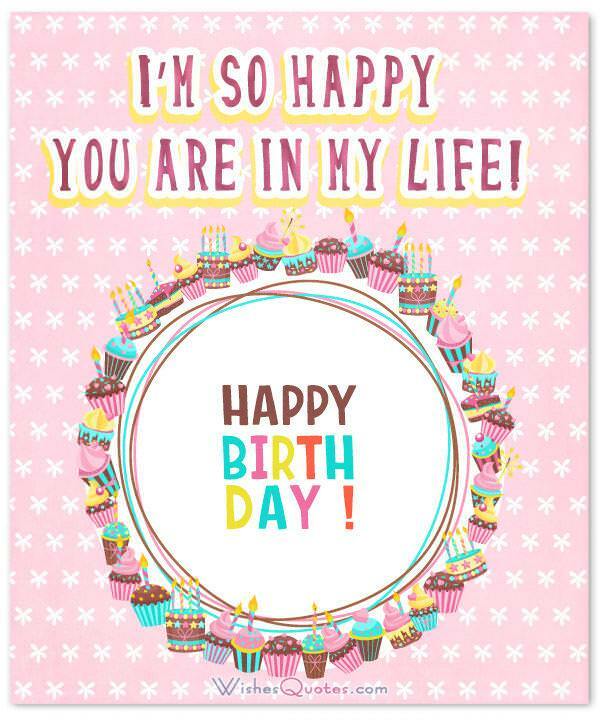 The only thing that matters is that anything you say, comes from your heart, and you will make your stepmom’s birthday a special one this year! You are the world’s greatest stepmom. I’m so happy to have you in my life! Happy Birthday! My father may be a lot of things, but you’ve learned to appreciate him with all of his flaws, and love him the way he is. This, for me, is all that matters. Happy Birthday! After my mother, I never thought that my dad could find real love, but you, have proved me wrong on so many levels. Thank you for making my dad happy. Happy Birthday! Times were rough for my father after my mom, yet, you saw through all of his pain and made him happy again. For that, I sincerely thank you. Happy Birthday! It takes guts to enter a broken family and pick up the pieces from the start. But you, in the name of love, managed to make us a family again. For that, I sincerely thank you. Happy Birthday! Never before have I seen a woman able to handle my father with such ease. To my eyes, you are a superhero! Happy Birthday! I never thought I would be able to call another woman my mother beside my biological one. Yet, your smile and the kindness in your heart has proved me wrong. You truly are a gift to this family. Happy Birthday! I know that my father is crazy, but for you to willingly come into this paranoid family just to be with him, makes you either crazy yourself, or a superhero, or both! Happy Birthday! I know that I’m not really your child, since we are not related by blood, but, all this time, you’ve truly treated me like I am. For that, I sincerely thank you and wish you the happiest of birthdays! I never thought my father could reclaim control of his life after my mother. Yet, you came and helped him overcome every single one of his difficulties. For that, I sincerely thank you. Happy Birthday! Before you, it was extremely rare for me to see my father smiling. Now, all it takes is just a glance towards you, and his face starts glowing. You truly have made him happy, and for that I thank you. Happy Birthday! I know that accepting you was rough, but in the end, I truly am glad that you entered our lives, and made my father a happy person again. Thank you, and happy birthday! Every hive, in order to work, they need a queen to coordinate them. This is why, this family we falling apart before you came, but with you, we can call ourselves a family again. Happy Birthday! For a very long time, my father was, emotionally, down a hole, one that none of us knew if he could recover from. Yet, you were able to pull him up with ease, and make him happier than I’ve ever seen him. 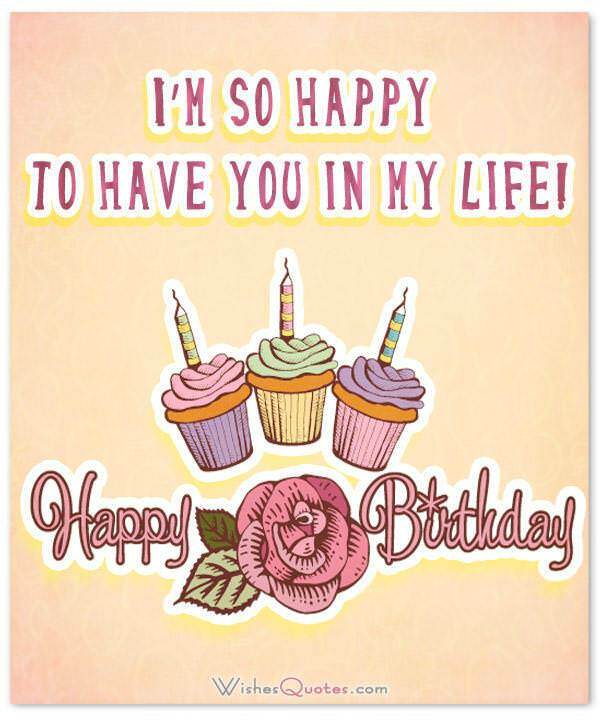 This is why, on this special day of yours, I wish you the happiest of birthdays! You’ve managed to make my father more happy than I could have ever imagined. In return, this makes me happy as well! So, for that, I thank you. Happy Birthday! I know that you aren’t really my mother, but after getting to know you, I can sincerely say that I love you like one. Happy Birthday! Before you came, this family was like a beautiful building that was left to fall apart, but you acted as the columns that kept it up in the end! Thank you, and happy birthday! Getting to know you has proven me that a woman doesn’t need to be biologically connected to you to be able to call her your mother. To me, you’ve been everything that a mother should be, and to my father, you’ve been his entire life. For that, I sincerely thank you. Happy Birthday! The presence of a woman truly was evident in this house. This is why I find it extraordinary that you entered this family. Not only you made my father happy again, but you made this house feel like home. Thank you, and happy birthday! Never could I have imagined myself saying that I accept another woman to assume the role of my mother, but after getting to know you, I don’t know what we would have done without you! Happy Birthday! The love story between you and my father reminds me of the princess and the frog. My father was alone, living in an emotional swamp like a frog, but after you two got together, he evolved into something amazing, he became the happiest prince I’ve ever seen! For that, I thank you. Happy Birthday! They say that in life, good things only come when you are least expecting them. This is why, your arrival in this family has been so good, because after my mother, we never expected we could be happy again. Happy Birthday! Not all relationships start on the right foot, and ours definitely was one of them. It was hard getting to accept another woman next to my father, but after getting to know you, I can truly say that I am glad he met you. Happy Birthday! There are only a select few people able to handle the character of my father. This is why I consider you such an amazing person to be able to handle him with such ease. Happy Birthday! Every family needs the motherly love of a woman in order to survive, and your presence around here has been all we need! Thank you for making this family happy again! Happy Birthday! I know that we’ve had our differences, and that we have not been able to fully accept each other. But the love we share for the same man, being husband to you and father to me, has united us, and made me realize that in the end, I’m happy you are here, making my father smile again. Happy Birthday!